❀ EMBRACE THE SUN INSIDE YOUR HOME. Santaro LED Growing Light brings artificial California sunshine indoors to keep plants healthy. Keeps raining day and winter away. ❀ DIRECTLY FROM THE MANUFACTURER Design and manufactured by our own factory which is the essential supplier of some top grow lights companies. No traders no agents. Share profits with you. ❀ THE PLANTS GUARDIAN ANGEL. Santaro grow light is perfect for all stages of plants grow, flowering and fruiting. 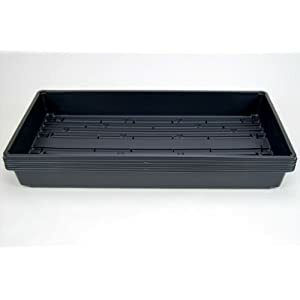 It’s a life partner for any indoors gardening and hydroponics plants. Whether it is raining, snowing or there is simply no sun- you can rely on our light to keep your plant lit up. Santaro LED Plant Grow Lights can grow any indoor gardening and hydroponics plants. Can be utilized to grow many vegatables and fruits, and also great for growing or perking up any houseplant. 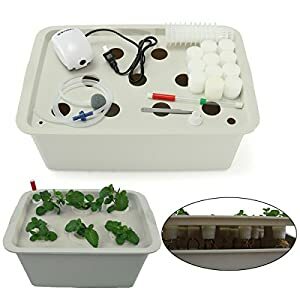 The plant grow light is suitable for all stages of plant growth. Best choice for grow tents, greenhouses, H2O systems and most other hydroponic systems. Blue light is good for photosynthesis; and help to induce Chlorophyll and Carotenoid, which are necessary for healthy leaves. Suitable for all stages of plant growth, flowering and fruiting. 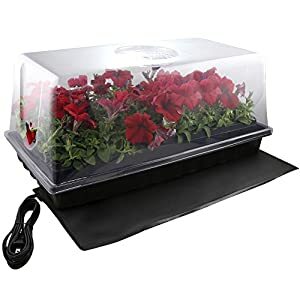 Its relative compact size making it excellent choices for cloning and seedling lights since they may be able to be placed in tight spaces without worrying about heat increased. Keeping heat off plants is very important. 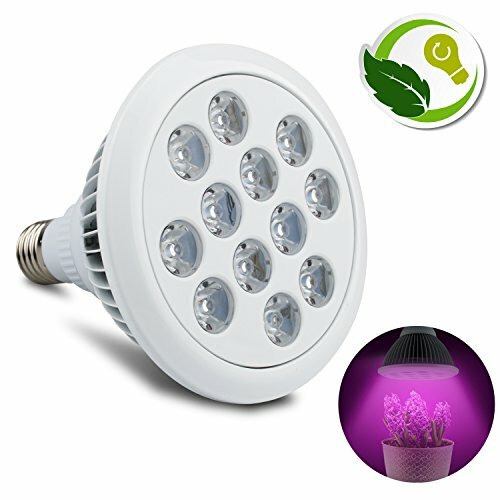 By the use of aircraft grade aluminum and a unique heat sink design to maximize heat dissipation area, the LED maintains not too high temperature even after 24 hours of continuous use. The Bulb itself is featured with red and blue LEDs for daylight simulation, to provide the entire necessary lighting for plants growth. Perfect Optical Solution- Santaro 36W LED grow light contains 12pcs of 3W LEDs, offering stronger light intensity than other 12W or 24W grow bulbs. Featured with 7pcs of 620nm Red LEDs, bringing enough illumination for plants at the beginning of sprout, 3pcs of 660nm Red LEDs will help the growth rates when blooming, and 2pcs of 460nm Blue LEDs could raise the thickness of stem and leaves. ❀ DIRECTLY FROM THE MANUFACTURER Design and manufactured by our own factory which is the essential supplier of a few top grow lights companies. No traders no agents. Share profits with you. ❀ THE PLANTS GUARDIAN ANGEL. 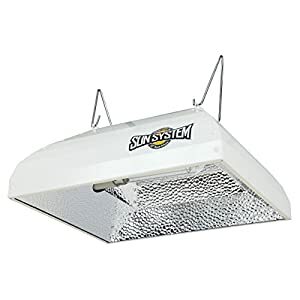 Santaro grow light is perfect for all stages of plants grow, flowering and fruiting. It’s a life partner for any indoors gardening and hydroponics plants. Whether it is raining, snowing or there is simply no sun- you’ll be able to rely on our light to keep your plant lit up. ❀ SMART CHOICE FOR THE BEST GROWTH. Less power and heat, more light for best growth. It’s a perfect cloning and seeding light, which you’ll be able to fit in any standard sockets. ❀ EASY SET UP for Green House Project- Santaro LED grow light is designed to install on all standard E27 sockets, no need of complex tools. Reasonable Heat Radiation- Polished aluminum construction with ribbed design, will offer better heat management for highly efficiency in luminosity. Quality Assured- Top of the range electronics are complimented by 12 months warranty. 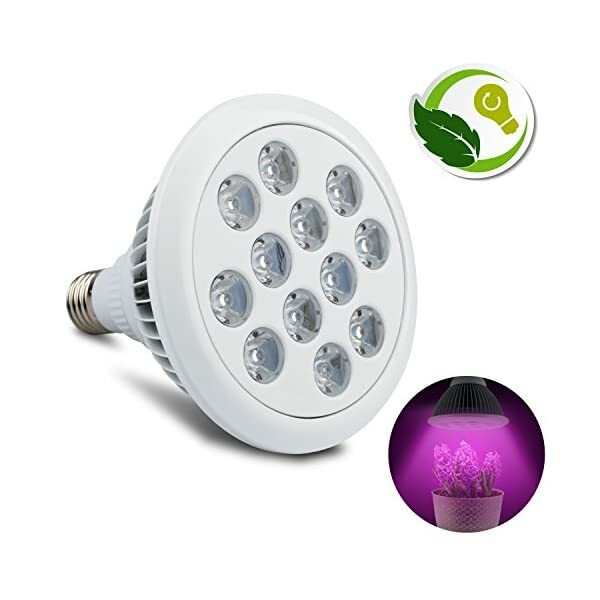 LED Plant Bulbs for Indoor/Outdoor Growing,With Full Spectrum and Clamp Reflector,by ProLedGrow.Red and Blue Light Bulb for Plants, Hydroponics Lights E27 12 LED (3 Blue and 9 Red),Lamp for Plants.